Induction of antigen-specific immunological tolerance may provide an attractive immunotherapy in the NOD mouse model but the conditions that lead to the successful translation to human type 1 diabetes are limited. In this study, we covalently linked 500 nm carboxylated polystyrene beads (PSB) with a mixture of immunodominant HLA-A*02:01-restricted epitopes (peptides-PSB) that may have high clinical relevance in humans as they promote immune tolerance; we then investigated the effect of the nanoparticle–peptide complexes on T cell tolerance. PSB-coupled mixtures of HLA-A*02:01-restricted epitopes were administered to HHD II mice via intravenous injection. The effects on delaying the course of the disease were verified in NOD.β2m null HHD mice. The diabetogenic HLA-A*02:01-restricted cytotoxic lymphocyte (CTL) responses to treatment with peptides-PSB were validated in individuals with type 1 diabetes. We showed that peptides-PSB could induce antigen-specific tolerance in HHD II mice. The protective immunological mechanisms were mediated through the function of CD4+CD25+ regulatory T cells, suppressive T cell activation and T cell anergy. Furthermore, the peptides-PSB induced an activation and accumulation of regulatory T cells and CD11c+ dendritic cells through a rapid production of CD169+ macrophage-derived C-C motif chemokine 22 (CCL22). Peptides-PSB also prevented diabetes in ‘humanised’ NOD.β2m null HHD mice and suppressed pathogenic CTL responses in people with type 1 diabetes. Our findings demonstrate for the first time the potential for using multipeptide-PSB complexes to induce T cell tolerance and halt the autoimmune process. These findings represent a promising platform for an antigen-specific tolerance strategy in type 1 diabetes and highlight a mechanism through which metallophilic macrophages mediate the early cell–cell interactions required for peptides-PSB-induced immune tolerance. The online version of this article ( https://doi.org/10.1007/s00125-017-4419-8) contains peer-reviewed but unedited supplementary material, which is available to authorised users. CD8+ T lymphocytes represent a proportion of the final effectors of beta cell destruction in type 1 diabetes . Numerous immunotherapies aimed at inactivating T cells have been investigated. Non-specific systemic immune suppression that targets T cells, co-stimulatory molecules and cytokines does not confer long-term protection, is usually associated with severe systemic side effects and can increase the susceptibility to the development of cancer [2, 3]. Thus, induction of antigen-specific tolerance may represent a desirable diabetes intervention approach in humans , including free epitopes , high-affinity mimotopes  and altered peptide ligand forms of auto-antigens . Although these approaches have been successful in animal models, their translation to the human clinical setting has been largely disappointing [8, 9]. Previous reports have shown that intravenous administration of antigen-conjugated apoptotic splenocytes (Ag-SPs) safely and efficiently induce antigen-specific T cell tolerance in autoimmune diseases. Ag-SPs can deliver peptides to antigen-presenting cells (APCs) and avoid the complications associated with a high dose of intravenous peptides [10, 11, 12, 13, 14]. This method has shown promise in clinical trials involving individuals with multiple sclerosis . However, the challenge of separating splenocytes and covalently linking peptides through the use of good manufacturing practices may impede the clinical application of this immunotherapy. Recent studies have shown that the use of Ag-SPs for tolerance induction can treat and protect against experimental autoimmune encephalomyelitis (EAE) [16, 17], transplantation  and allergies in animal models . Meanwhile, a number of microparticle-based therapeutics have been approved by the US Food and Drug Administration . However, limited nanoparticle approaches have been identified as targets to attenuate the activity of diabetogenic CD8+ T cells, particularly those that recognise HLA-A*02:01 restricted epitopes, which may have a high clinical relevance in humans. Here, we aimed to evaluate whether nanoparticles coupled with immunodominant HLA-A*02:01-restricted zinc transporter-8 (ZnT8107–116, ZnT8115–123, ZnT8153–161) and islet-specific glucose-6-phosphatase catalytic subunit-related protein (IGRP215–223 and IGRP293–301) epitopes could treat T cell-based autoimmune disorders and suppress the development of diabetes in humanised mice. Furthermore, we assessed whether this approach could inhibit antigen-specific T cell reactions in individuals with type 1 diabetes. 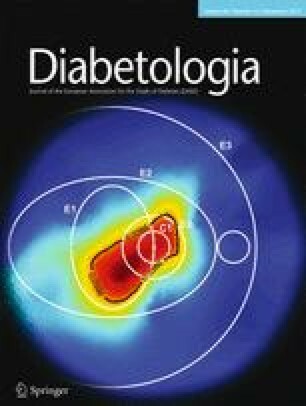 Individuals with type 1 diabetes (n = 24; 13 male participants, median age 26 years [range 13–48 years]; 11 female participants, median age 25 years [range 9–64 years]) were recruited. The participant characteristics are shown in electronic supplementary material (ESM) Table 1. Individuals with an acute onset of symptoms requiring permanent insulin treatment from the time of diagnosis were diagnosed with type 1 diabetes . All participants were HLA-A2 + (HLA-A*02:01) by genotyping and provided written informed consent. The protocol was approved by the ethics committee of The First Affiliated Hospital of Nanjing Medical University and was carried out in agreement with the Declaration of Helsinki as revised in 2008. Six- to eight-week-old female or male HLA-A*02 : 01-transgenic β2m −/− HHD mice (HHD II mice) were obtained as a gift from F. Lemonnier (Institute Pasteur, Paris) and have been described previously . Female NOD.129P2(B6)-B2m tm1Unc Tg(HLA-A/H2-D/B2M)1Dvs/DvsJ mice (also called NOD β2m null HHD mice) were from the Jackson Laboratory (Bar Harbor, Maine, USA) . NOD β2m null HHD mice express a monochain chimeric HLA-A*02 : 01 molecule consisting of a human β2-microglobulin covalently linked to the α1 and α2 domains of HLA - A*02 : 01, followed by the α3 transmembrane and cytoplasmic portions of H-2Db . Mice were housed in groups of 4–5 per individually ventilated cage in a pathogen-free facility under a 12 h light/dark cycle and were fed with a standard mouse chow diet. Mice were maintained according to the protocols approved by the Nanjing Medical University Institutional Animal Care and Use Committee. Full details of the peptides used in this study are provided in the ESM Methods. Full details of the antibodies used in this study and the flow cytometry procedures are provided in the ESM Methods. The amount of peptide released from the peptide-coupled or peptide-encapsulated nanoparticles was observed. Here, 10 mg of the polystyrene beads (PBS) were washed, resuspended in 1 ml PBS and incubated at 37°C with agitation. At the different time points, the nanoparticles were centrifuged and the peptide in the supernatant fraction was detected using the micro bicinchoninic acid (BCA) protein assay (Thermo Scientific, Waltham, MA, USA). HHD II mice were immunised by s.c. injection (100 μl) of 100 μg ZnT8 and/or IGRP peptides emulsified in incomplete Freund’s adjuvant (IFA; Sigma-Aldrich, St Louis, MO, USA) in the presence of 140 μg of the HBcAg128–140 helper peptide. A booster injection of 100 μg ZnT8 and/or IGRP peptides emulsified in IFA was administered by s.c. injection 14 days later. Tolerance was induced by an i.v. injection of carboxylated PSB coupled with peptides as described previously . Briefly, carboxylated PSB with a 500 nm diameter were purchased from Polysciences (Warrington, PA, USA). Peptides were linked to the PSB using ethylene carbodiimide (ECDI; Calbiochem, San Diego, CA, USA) according to the manufacturer’s instructions (12.5 mg of polystyrene microparticles and 500 μg of peptide in the presence of 10 mg/ml ECDI). Approximately 9 × 109 microparticles comprising 15–20 μg of the peptide, depending on the sequence used in the coupling reaction, were i.v. infused in the mice. Two injections were given at 2 week intervals, followed by a treatment once every 3 weeks. The mice were monitored for the development of autoimmune diabetes. Blood glucose levels and insulitis were analysed as described previously . Further details are provided in the ESM Methods. IFN-γ and IL-10 ELISpot assays were performed according to the manufacturer’s instructions. Details are provided in the ESM Methods. To assay chemotaxis, sorted CD8+ T cells from immunised HHD II mice were incubated with peptides-PSB for 8 h. Then, the sorted CD169+ MΦs were incubated with apoptotic CD8+ T cells at a 5:1 ratio for 24 h. The culture supernatant fractions were seeded in the lower chambers of 96-well plates after collecting and preparing per the manufacturer’s instructions for the QCM chemotaxis 5 μm cell migration assay (Millipore, MA, USA). The upper chambers were seeded with sorted CD4+CD25+ regulatory T cells (Tregs), CD103+CD8+ dendritic cell (DCs) or CD8− DCs in a normal culture medium in the presence or absence of the C-C chemokine receptor type 4 (CCR4) antagonist (39 nmol/l C-021 dihydrochloride) (Millipore, MA, USA), C-C motif chemokine 22 (αCCL22) blocking antibody (2 μg/ml; R&D Systems, Minneapolis, MN, USA) or the isotype control, and the cells were allowed to migrate for 6 h. The plate was then processed and read at 485 nm (excitation)/530 nm (emission). The migration index was determined per the manufacturer’s directions. For details on the PCR procedures see ESM Methods. Mice were infused with PBS or ZnT8-PSB. After 18 h, the spleen was dissected and fixed in paraformaldehyde. The detailed procedures for the immunohistochemical, morphological analyses are described in ESM Methods. Pancreatic lymphocytes were isolated as described previously . Details are provided in the ESM Methods. The data were evaluated using Prism 5 software (GraphPad, La Jolla, CA, USA). Data are expressed as mean ± SEM. The log rank test was used to compare the diabetes incidence curves. The differences in the antigen-reactive CD8+ T cell numbers between different groups were analysed using a nonparametric unpaired test. Experimenters were blind to outcome assessment but not for group assignment. No data were excluded from analysis. Initially, we characterised the loading of the CD8-encoded peptides onto the 500 nm PSB. We selected five HLA-A*02:01-restricted antigenic epitopes that may have a high clinical relevance in type 1 diabetes (ESM Table 2) . Peptides containing a mixture of three ZnT8 peptides (ZnT8-PSB), two IGRP peptides (IGRP-PSB) or a cocktail of these five peptides (ZnT8/IGRP-PSB) were bound to the nanoparticles using ECDI. The coupling efficiencies ranged from 65.27% to 90.48%. Between these three groups, the amount of coupled peptides was comparable and ranged from 26.11 μg/mg to 36.19 μg/mg PSB (ESM Table 3). In vitro release studies demonstrated that low levels of the peptide are released at 2 h for IGRP, ZnT8 and ZnT8/IGRP-PSB (12.21%, 23.37% and 15.05%, respectively). However, a greater amount of IGRP-PSB was released at 72 h in vitro compared with that coupled to ZnT8-PSB or ZnT8/IGRP-PSB (Fig. 1a). Individual peptide-PSB had similar coupling efficiencies to that of the mixture peptides-PSB, ranging from 52.83% to 93.19% with comparable amounts of peptide (21.13–37.28 μg/mg PSB) (ESM Table 4). Approximately half of the loaded peptide was released from ZnT8 or IGRP peptide-coupled nanoparticles by 48 h in vitro, with higher amounts of the peptide released by 72 h (Fig. 1b). We have previously demonstrated that the novel epitopes of ZnT8-3, ZnT8-6 and ZnT8-9 could generate antigen-specific CD8+ T cells in HHD II mice, and all of these epitopes are dominant in humans . Thus, we measured the capability of 500 nm PSB coupled with these immunodominant epitopes (ZnT8-PSB) to prevent ZnT8-specific T cell responses in vitro in HHD II mice. Antigen-specific CD8+ T cells were significantly increased in all groups with the related ZnT8-peptide stimulation (Fig. 2a–c). Compared with control mice, CD8+ T cells from HHD II mice incubated with ZnT8-PSB displayed significantly decreased responses to the re-stimulation induced by the ZnT8-3, ZnT8-6 and ZnT8-9 epitopes in vitro (Fig. 2a–c). Representative IFN-γ ELISpot results are shown in ESM Fig. 1. A previous study has indicated that Ag-SPs are differentially responsible for the diabetes-protective effects . Hence, we chose to couple ZnT8 and two other immunodominant antigen epitopes (IGRP-1 and IGRP-2), which were demonstrated in our human participants, with PSB to determine whether the peptides-PSB complexes were responsible for the different protective immunity effects in vivo. Because peptides-PSB could induce long-term T cell tolerance , ZnT8-PSB and IGRP-PSB (mixture of IGRP-1 and IGRP-2) were administered intravenously to HHD II mice immunised with an adjuvant mixture of the five ZnT8 and IGRP epitopes. Compared with control mice that received cytomegalovirus (CMV)-PSB, the frequencies of both CD4+ and CD8+ T cells were slightly reduced in the mice treated with ZnT8-PSB and IGRP-PSB. In addition, the number of T helper (Th) 1 cells was decreased in the HHD II mice treated with PSB. However, no significant differences were found in the number of Th17 cells in these treated mice (Fig. 2d). Treatment with ZnT8-PSB and IGRP-PSB also significantly decreased the activated CD4+ T cell (CD62LlowCD44high) responses. Although the activated CD8+ T cell (CD62LlowCD44high) decreased in the mice treated with peptides-PSB, no statistically significant differences were found among the groups. Conversely, the concentration of naive CD4+ and CD8+ T cells (CD62LhighCD44low) was significantly higher in the mice treated with peptides-PSB than in their control mice (Fig. 2e). In the HHD II mice treated with ZnT8-PSB or IGRP-PSB, antigen-specific CD8+ T cell responses to both the HLA-A*02:01-restricted ZnT8 and IGRP peptides were significantly decreased compared with control mice (Fig. 2f–j). Interestingly, treatment with ZnT8-PSB showed a more significant reduction in CD8+ T cell responses to the IGRP-1 peptide than treatment with IGRP-PSB (Fig. 2f). These in vivo assays further demonstrated that the HHD II mice treated with peptides-PSB are tolerant to the peptides, as shown by reduced T cell frequencies and IFN-γ secretion following a challenge with the ZnT8 and IGRP peptides. A previous study showed that the induced T cell tolerance was partially dependent on the production of antigen-specific Tregs and IL-10 . The FoxP3+ Tregs were significantly increased after treatment with either ZnT8-PSB or IGRP-PSB in immunised HHD II mice (Fig. 3a). Treatment with ZnT8-PSB and IGRP-PSB resulted in a significantly higher increases in IL-10 cytokines in response to the IGRP or ZnT8 peptides (Fig. 3b–f). Representative IL-10 ELISpot results are shown in ESM Fig. 2. Altogether, these data indicate that both ZnT8-PSB and IGRP-PSB are significantly important for inducing antigen-specific CD8 T cell tolerance in HHD II mice. To further investigate the effects of the peptides-PSB on T cell activation and proliferation, we immunised HHD II mice with the ZnT8-3, ZnT8-6 or ZnT8-9 epitope. Then, we adoptively transferred carboxyfluorescein diacetate succinimidyl ester (CFSE)-labelled CD8+ T cells from these immunised mice into naive HHD II mice. After 48 h, we administered 9 × 109 ZnT8-PSB or CMV-PSB via i.v. injection. After 5 days, we administered ZnT8-3, ZnT8-6 or ZnT8-9 plus complete Freund’s adjuvant (CFA) via s.c. injection. The ZnT8-specific T cells isolated from both the spleen and lymph nodes of the mice treated with ZnT8-PSB exhibited a significantly lower proliferative capacity than those from the control mice (Fig. 3g). Splenic function plays an important role in systemic tolerance by clearing apoptotic cells . Splenic macrophages (MΦs) are involved in the rapid phagocytosis of different pathogens and other particles . Previous studies have also demonstrated that treatment with peptides-PSB increases the expression of some scavenger receptors . We found that the scavenger receptors Marco and Scarf-1 were upregulated in the spleen following the administration of ZnT8-PSB (Fig. 4a, b). However, no significant difference was found in the expression Sign-r1 (Fig. 4c). The spleen cells containing ZnT8-PSB also induced the expression of Siglec-1, which is known as a metallophilic macrophage (MMΦ) marker (Fig. 4d). Overall, the data indicate that i.v. administration of peptides-PSB specifically localises to macrophage receptor with collagenous structure (MARCO)+ marginal zone macrophages (MZMΦs) and MMΦs. These MΦs act as scavenger cells, developing anti-inflammatory responses. In the spleen, MZMΦs and marginal zone (MZ) DCs actively phagocytose apoptotic cells from circulation . After activation, both MΦs and DCs can produce CCL22 . CCL22 also plays a key role in Treg recruitment and immune suppression . When FACS-sorted splenic phagocytes (see ESM Fig. 3) were examined, only CD169+ MMΦs and CD8+ DCs showed an increase in the expression of Ccl22 (Fig. 4e). In CD169+ MMΦs, the CCL22 response is specific and unique to apoptotic cell exposure . Our data also confirm that peptides-PSB did not induce significant expression of C-C motif chemokines other than Ccl22 in the CD169+ MMΦs (Fig. 4f). Apoptotic cell-driven MZMΦ activation potently stimulated Treg migration. This response was dependent on CCL22-mediated recruitment via CCR4 . To determine whether this mechanism is relevant to the administration of ZnT8-PSB, we challenged mice with an injection of a CCR4 antagonist after immunisation with a ZnT8 cocktail and then examined FoxP3+ Treg accumulation 4 h after pretreatment with ZnT8-PSB. Mice injected with ZnT8-PSB exhibited significantly more splenic FoxP3+ Tregs than the control mice, and this effect was completely inhibited by a treatment with the CCR4 antagonist (Fig. 5a). Treg recruitment primarily occurred in the splenic MZ of the mice treated with ZnT8-PSB (Fig. 5b), suggesting that CCL22 might increase Treg chemotaxis to the spleen, promoting the increased expression of Tregs in the organ. Pretreatment with the CCR4 antagonist prevented this increase in Tregs, resulting in splenic FoxP3 staining that was similar to that in the control groups (Fig. 5b, c). Meanwhile, the CCL22- and CCR4-dependent follicular accumulation of CD11c+ cells was recruited from the MZ rather than systemically (Fig. 5b, d). Moreover, image analysis showed that there was a significant increase in follicular Treg–DC interactions in the follicle in the mice treated with ZnT8-PSB (Fig. 5b, e). In response to peptides-PSB, splenic Tregs rapidly upregulated surface cytotoxic lymphocyte (CTL) A-4, whereas CD103 and programmed cell death-1 (PD-1) expression was not changed (Fig. 5f). Moreover, pretreatment with the antagonist prevented surface CTLA-4 expression (Fig. 5f). Furthermore, when the MMΦs were cultured with apoptotic CD8+ T cells treated with ZnT8-PSB, the conditioned media induced Treg migration and this effect was inhibited by adding either a CCL22-neutralising antibody or the CCR4 antagonist (Fig. 5g). CD8+CD103+ DCs preferentially present apoptotic cell-associated antigen in the spleen and induce Treg differentiation and promote T cell tolerance [34, 35]. We found that CCR4 was significantly more highly expressed in the CD103+ DCs than in the CD103− DCs in the mice treated with ZnT8-PSB (Fig. 5h), suggesting that CD8+CD103+ DCs may preferentially migrate in response to CCL22 production. Consistent with this result, we found that interactions between apoptotic CD8+ T cells and MMΦs mediated a significant migration of CD8+CD103+ DCs in a CCL22- and CCR4-dependent manner (Fig. 5i). In contrast, CD8+CD103− DCs were independent of CCL22/CCR4 and did not show an apoptotic cell-dependent migratory capacity (Fig. 5i). Because CCL22 expression increased rapidly after the peptides-PSB administration and was a driver of Treg accumulation, we hypothesised that regulatory cytokine production may be based on CCL22-mediated Treg recruitment. We found that ZnT8-PSB prominently increased splenic TGF-β and IL-10. When CCR4 was blocked, the induction of IFN-γ and IL-12 was significantly increased (Fig. 6a, b), and the induction of TGF-β and IL-10 was significantly decreased (Fig. 6c, d). These findings suggest that deficiency in the CCL22-dependent Treg recruitment led to the formation of a proinflammatory environment. We further confirmed whether CCL22-mediated Treg recruitment could promote the prevention of inflammatory cytokine production and the acquisition of a regulatory phenotype in MΦs and DCs following peptides-PSB treatment. Tgf-β transcription increased in CD169+ MΦs (p = 0.0038) and CD8+ DCs (p = 0.0194) (Fig. 6g, k) after a ZnT8-PSB challenge. Similarly, the Il-10 expression was increased in the CD169+ MΦs (p = 0.0006) and CD8+ DCs (p = 0.0017) following i.v. injection of ZnT8-PSB (Fig. 6h, l). However, when CCR4 function was inhibited by the pretreatment with an antagonist, the peptide-PSB-driven increases in Tgf-β and Il-10 mRNA levels were blocked in both CD169+ MΦs (p = 0.0015, p = 0.0437, respectively) and CD8+ DCs (p = 0.0362, p = 0.0020, respectively) (Fig. 6g, h, k, l) with a concomitant significant increase in Il-12p40 and Il-6 in CD169+ MΦs (p < 0.0001, p = 0.0059, respectively) (Fig. 6e, f, i, j). To further assess whether peptides-PSB would interfere with disease development, we administered ZnT8-PSB, IGRP-PSB and ZnT8/IGRP-PSB to 8-week-old NOD.β2m null HHD mouse models of diabetes. In the control groups, the mice developed diabetes at 12 weeks of age. The incidence of diabetes gradually increased over the treatment period. In contrast, only 12.5~18.75% of mice receiving peptides-PSB developed diabetes during the treatment period (Fig. 7a). Moreover, treatment with ZnT8-PSB and ZnT8/IGRP-PSB significantly delayed the development of diabetes and improved survival rates (Fig. 7a, b). Although the mice treated with IGRP-PSB similarly reduced the incidence of diabetes, the difference was not statistically significant (Fig. 7a). Treatment with IGRP-PSB only improved survival rates (Fig. 7b). The protection observed in the animals treated with peptides-PSB was accompanied by diminished islet infiltration (Fig. 7c, d) as determined by histological examination. In contrast to control mice, the number of FoxP3+ Treg cells was significantly increased in the pancreas after treatment with peptides-PSB (Fig. 7e). The mice receiving peptides-PSB showed a reduced degree of CD4+ and CD8+ T cell infiltration (Fig. 7f). It must be noted here that only non-diabetic mice in these groups were analysed at 28 weeks of age. These results show that treatment with peptides-PSB is essential for ameliorating insulitis and delaying disease progression in mouse models of type 1 diabetes. The peptides-PSBs were subsequently tested for antigen-specific T cell responses using peripheral blood mononuclear cells (PBMCs) from individuals with HLA-A*02:01-restricted new-onset type 1 diabetes who were previously positive for these epitopes. PBMCs were co-cultured in vitro with ZnT8-PSB, IGRP-PSB or ZnT8/IGRP-PSB, and antigen-specific CD8+ T cells for each individual epitope were detected by ELISpot assays. Compared with those exposed to the control human immunodeficiency virus (HIV)-PSB, CD8+ T cells co-cultured with ZnT8-PSB displayed significantly diminished responses to the re-stimulation with the ZnT8-3, ZnT8-6 and ZnT8-9 epitopes (Fig. 8a–c). Similarly, IGRP-PSB significantly decreased the ability of CD8+ T cells to respond to re-stimulation with IGRP-1 and IGRP-2 (Fig. 8d, e). Furthermore, the co-incubation with ZnT8/IGRP-PSB diminished the CD8 T cell responsiveness to the IGRP, ZnT8-3 and ZnT8-9 epitopes (Fig. 8f). Although the ZnT8-6 epitope-specific T cell responses were reduced by ZnT8/IGRP-PSB treatment, the effect did not quite achieve statistical significance (Fig. 8f). Our study has demonstrated for the first time that an i.v. injection of a PSB-coupled cocktail of HLA-A*02:01-restricted peptides can induce antigen-specific tolerance in HHD II mice, inhibit the development of diabetes in ‘humanised’ NOD.β2m null HHD mice, and may have potentially high clinical relevance in humans. Furthermore, these peptides-PSB complexes could suppress antigen-specific CD8+ T cell responses in individuals with type 1 diabetes. Recently, the use of nanoparticles for immune regulation has been a promising approach in animal models of diseases [20, 36]. Here, we found that only 1.32 μg peptide, which was administered i.v. twice, induced long-term tolerance. This dose is much lower than the 20 μg of soluble IGRP that was administered three times to the NOD.β2m null HHD mice , suggesting that the nanoparticle form has a significantly higher efficiency. Tolerance induced by high levels of soluble peptide has been successful in animal models [37, 38]. However, a range of adverse effects have been occasionally observed, such as an exacerbation of the existing disease and fatal anaphylaxis . Owing to these safety problems, the nanoparticles platform is an attractive strategy for avoiding high concentrations of peptides in vivo. Niens et al found that insulin (INS)/IGRP or IGRP peptides coupled to splenocytes effectively inhibited IGRP-specific CD8+ T cell responses and the progression of diabetes in NOD.β2m null HHD mice . However, we found that the treatment effect of IGRP-PSB was not better than that of ZnT8-PSB or ZnT8/IGRP-PSB in either ablating antigen-specific CD8+ T cell responses or delaying the development of diabetes. A greater amount of IGRP peptides was released in vitro compared with that of the other peptides over a 72 h period at 37°C. The stability was suggested to be able to affect the nanoparticle recognition and uptake by APCs. MΦs and DCs can selectively endocytose nanoparticles [39, 40]. Previous data have shown that MZMΦs have an important effect on immunological surveillance in the spleen, clearing apoptotic cells and suppressing immune responses immediately after antigen exposure. Significantly, DCs are functionally influenced by MZMΦs through the phagocytosis of apoptotic cells and the regulation of TGF-β production [27, 41]. Nanoparticles, as vehicles for peptide delivery, have been demonstrated to be able to be taken up by MZMΦs expressing the scavenger receptor MARCO and halt the disease process in a model of EAE . Our data further showed that peptides-PSB complexes captured by MZ CD169+ MΦs and DCs rapidly produced the chemokine CCL22, which could promote the migration and activation of Tregs. Thus, MΦ–DC communication could be important for the initial generation of innate immune suppression and induction of a regulatory phenotype. Our data suggest that CD169+ MΦs and CD8+ DCs provide the link between innate immunity and adaptive tolerance in peptides-PSB immunotherapy. Additionally, previous studies have demonstrated that both CD4+ and CD8+ autoimmune T cells could be potently suppressed by cross-presentation of apoptotic cell antigens [42, 43]. We also observed that MZ CD169+ MΦs and DCs produce CCL22 to mediate Treg chemotaxis and immune suppression. CCL22, also known as MΦ-derived chemokine , has been shown to induce chemotaxis in activated T cells, and CCR4 is a cognate receptor for CCL22 [31, 45]. Certain stimuli can also promote the expression of CCR4 by DCs . Expression of CCL22 in splenic CD169+ MΦs promoted the accumulation of tolerogenic splenic DCs . In addition, CD103+ DC promoted Foxp3+ Treg enrichment . Importantly, antagonising CCL22 inhibited the tolerogenic DC maturation . Here, we also showed that the inhibition of CCR4 had a major influence on CD103+ DC chemotaxis following peptides-PSB treatment. In our study, we demonstrated that ZnT8-PSB and ZnT8/IGRP-PSB were more effective than IGRP-PSB in preventing the development of diabetes in NOD.β2m null HHD mice. These results did not absolutely coincide with those from our human participants. Previous studies have demonstrated that the IGRP antigen could be a non-essential target for autoimmune diabetes in animal models [48, 49]. However, we found that several ZnT8-specific CD8+ T cell responses were also caused by treatment with ZnT8/IGRP-PSB in humans with type 1 diabetes. Thus, our data indicate that targeting the ZnT8 antigen may also be required to effect diabetes development in humans. We thank F. Lemonnier (Institute Pasteur, Paris) for providing the HHD II mice. This study was supported by grants from the National Natural Science Foundation of China (number 81400808, 81530026 and 81270897) and a Project Funded by the Priority Academic Program Development (PAPD) of Jiangsu Higher Education Institutions. All authors conceived and designed the study. XYX and LLB contributed to acquisition, analysis and interpretation of data. XYX and TY wrote the first draft of the manuscript. All authors revised the manuscript critically and gave final approval of the submitted version. TY is the guarantor of the work.